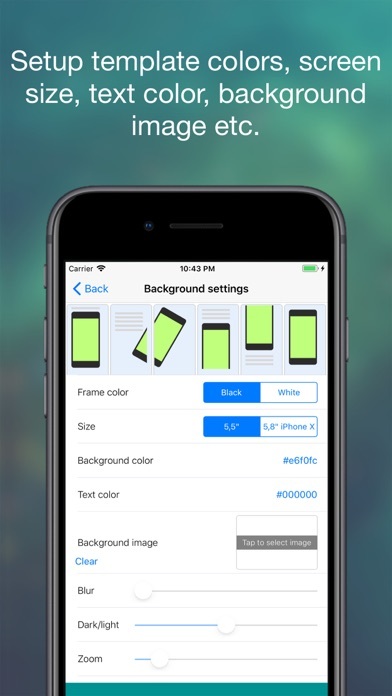 App Store developers are know how important attractive screenshots are for increasing downloads and sales. 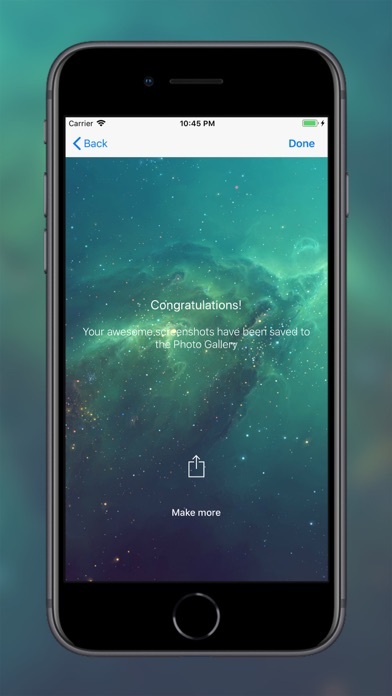 Screenshots are the first thing a user sees when they open an application page. 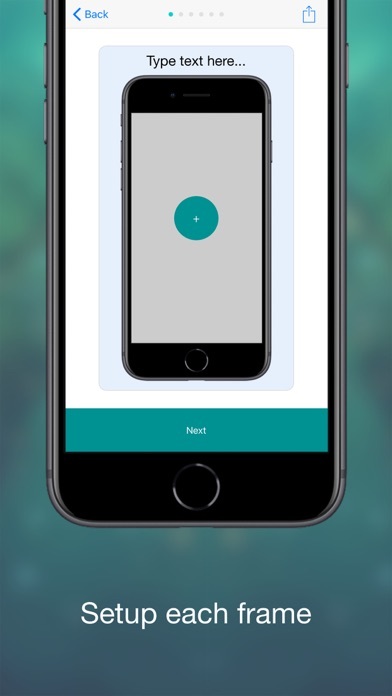 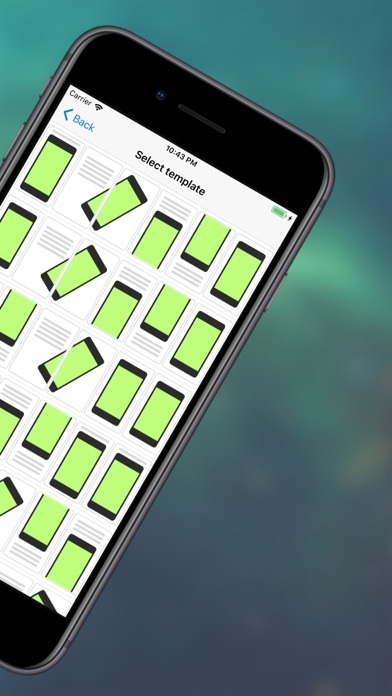 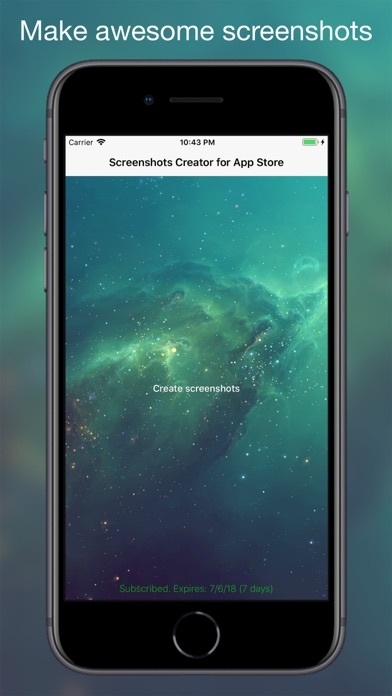 "Screenshots Creator" will make incredibly beautiful screenshots of your applications in just a couple of touches! 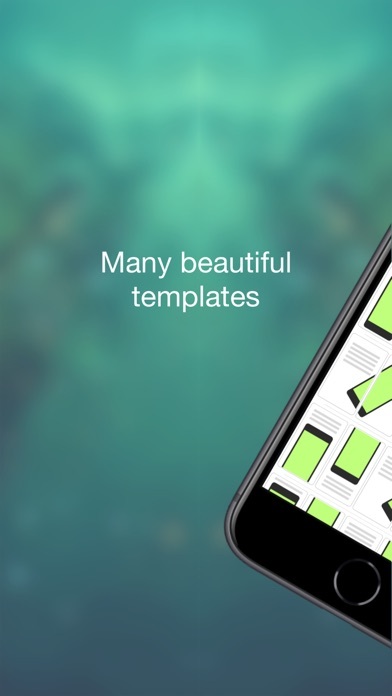 * 5.5 and 5.8 inches (iPhoneX) * A large collection of original templates for screenshots * iPhone frame color selection - black and white * Background image fine tuning - blur, zoom, darkening, cropping * Customize the color of text in the screenshots * Place a screenshot in each frame * Sharing to MacBook, Google Drive, clouds and other A few minutes and your awesome screenshots are ready for download on the App Store!